Confidence can be such a difficult quality to develop. I can be confident in my ability to create a delicious dinner and yet lack the confidence required to get up on a horse and ride a trail. You might be confident in a one-on-one conversation and yet lack the confidence to feel comfortable speaking in front of 1,000-member audience. So what is the confidence we are feeling or not feeling? When ‘confidence’ is really just an assurance that we are committed to living our Life Purpose in this lifetime on this Planet Earth, then we can relax and our only work is this commitment. Whew! That takes the heat off of us, doesn’t it? I mean, what if I know I am being the person I was born to BE, even if I’m not the best or most accomplished or most experienced at something I am trying to DO? Isn’t that the consciousness that we need to develop? Isn’t that how we can learn to feel confident? I learned a long time ago that showing up to the present moment is the most important aspect of feeling confident. Even if I feel nervous or tentative about attempting something, I can gain confidence from the knowledge that I am doing the best I can and I can trust that everything will work out as it should. This comes from trusting in the unfolding plan of the Universe. Trust is the key word here. Do you trust that the Universe has a plan that is unfolding as it should? Do you trust that you have a part in that plan and that your intuition is your connection to it? Have you learned to trust your intuition? Each of us has a role to play in the story of the Earth as it is developing around us. The people around us are all players in the same story, whether we or they know it or not. Your soul agreed with mine before we were born that we would ‘play’ in this sandbox called Earth at the same time in some way. I trust that this agreement holds and that I am doing my best to fulfill my part. I commit to living the Life Purpose my soul told yours I would live before we started this time on Earth. By raising my own consciousness I’ve become aware of the greater plan and it’s unfolding on Earth in these days. Are you working to expand your awareness of the great development called Human Evolution? This is about the evolution of consciousness, not about growing beyond tails and webbed feet! Personal growth work becomes the avenue to expanded consciousness and, thus, a commitment to your own personal growth benefits all of humanity. And confidence comes from knowing that this grand scheme of ever-evolving consciousness includes you and who you are becoming at each step of the way. Trust that you are okay, that you are doing the best you can. Trust that your own intuition and inner guidance are leading you in the path of conscious evolution. Be confident in sharing who you are, right now, in this moment, with others, for that is the soul agreement that you entered into with them before birth. They and you agreed that you would be just that, the ‘who’ you came here to be, and that that was just enough for them in this moment. Congratulations! Go confidently into your next moments! PS: Are you receiving your copy of my daily video, The Daily Muse to inspire you with messages from The Many Dimensions I am able to access? Get yours FREE; The Daily Muse, Tips for Conscious Living delivered directly to your email box; Click on the image here for a sample! And, don’t miss the next one! 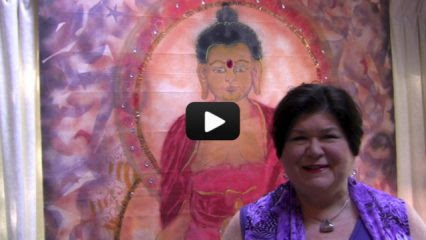 THE MYSTIC MESSAGE from The Divine Feminine: Got Confidence? Confidence. What does that word bring up for you? Do you feel confident in Life? Do you feel confident in your abilities in one area of your life but not in another? Do you worry that you are inadequate in all areas of life or do you compare yourself to others and feel that they are all better than you are? We wish to give you a new definition of ‘confidence.’ Confidence is not feeling that you know everything you can about a situation, skill or circumstance. It is especially not about knowing everything you can about another person. Rather, Confidence is an awareness that you are doing the best you can in any given moment. True Confidence comes from BEING the person you incarnated on Planet Earth to BE. It really has nothing to do with what you are doing or how well you are being judged, or judging yourself, on your performance at a task. When you have this kind of True Confidence in yourself, you see yourself as a part of the unfolding plan within an unfolding Universe and your consciousness is about your place in that plan. Confidence rests on the level of consciousness that you bring to a situation. Your awareness of your Life Purpose and your commitment to living that purpose bring you the confidence that you need to excel at being YOU. How well do you know YOU and who you came to Earth to BE? Those who appear to you to have immense stores of confidence may be covering up feelings of inadequacy with a public bravado that has no relationship to their actual level of confidence or ability. Stop comparing yourself to them. It really doesn’t matter to you and your living your own Life Purpose whether they are committed to living their purpose. Their outward appearance of an apparent level of confidence really has no bearing on you and your level of confidence so stop giving it any importance. Be confident that you are the best YOU you can be in this present moment. If you are facing a challenge, look for the lesson. If you are feeling good about yourself, then feel good. If you are feeling less than confident, then think about a time when you felt confident in the past and remember that feeling. If you are unsure about your Life Purpose, then get some help in figuring that out for yourself. The Plan is unfolding. The Universe is working things out so that everyone can have all the resources they need to fulfill the Life Purpose they incarnated on Earth to live. Your only job is to continue to grow in consciousness, in awareness. To be committed to your own personal growth. To show up and support others in their own personal growth, even if they are making choices that you feel are not the best for them. Be who you came to Earth to be and allow others the space to do the same. Go confidently into your day, each day, knowing that you, and everyone else, are doing the best you can with the resources you have at any given moment. MUS-INGS: Be Ready to Course Correct! Assessing your values is a great way to plan your time, energy and resources. It’s important to look at what is most important and then at your Life to see if your Life reflects that value structure. But how often do we get pulled off track by what is going on around us? For example, we might think that ‘Family’ is a very high value but all of our time is going to work or sports or entertainment or whatever and what is left over is all we give to our family. We might have so many organizations that we belong to that we don’t have an evening free for ‘date night’ with our partner. We might be working so long and hard that we are too exhausted to call our mother or play a game with the kids. There could be many more examples. But, you might think, I have to do all those other things. Do you, really? Think about your Life, the one with the capital ‘L.’ Have you fallen into unconscious patterns that SEEM to be the way things must be? Have you examined those ‘musts’ to determine if they really have to be that way? Or was the decision made a long time ago, under different circumstances, that that was the only structure that was possible? Living a Conscious Life requires us to be mindful at all times about the source of our decisions about our Life. Are we watching the news and making decisions based on some perceived threat? Are we watching changes happen and feeling threatened, fearful, gleefully delighted in someone else’s misfortune, judgmental? Really assess what is going on in you as you listen to reports of current events. How do these events relate to you? I know that we think we need to proceed along a path that’s been started because we were taught about perseverance and persistence, that good ol’ ‘stick-to-it-iveness’ that was valued. But once we have been set upon a certain course there might be new information that arises, or new circumstances or a different perspective that cause us to re-examine whether that course is still the right one for us or if there might be a better one based on the new insights. Being able to change or course-correct is a sign of living a Conscious Life. Being unable to change or course-correct is a sign of stubbornness. Now I am not judging anyone here, but if you are not open to the possibility that you might be called to shift where you are going then you are not really living a Conscious Life. Every step you take must be taken with care. Every decision must be based on careful thought. When you are flying an airplane you don’t stubbornly stay on course if there is a huge thunderstorm looming ahead of you, you shift according to the new information that is in front of you. It’s the same with Life. But on what do you base your decisions? This is where assessing your values can really lead you forward in your life path with confidence that you are basing your choices on what really matters to you, on what is important to your Life and your Purpose. Don’t be distracted by the news or the stories that you hear. Go inside. Figure out how to make decisions from a place of conscious consideration so that you can have confidence as you move forward. It is important that you learn to be able to course correct when you must but to base that course correction on your values and your inner guidance, not on the external news reports!